On a market a bit too full of Early Access survival games (which may or may not have zombies) it is refreshing to find a game standing out from the crowd in any way. One of such games is Gloria Victis, a production by Polish developer Black Eye Games which has been available for some time now. 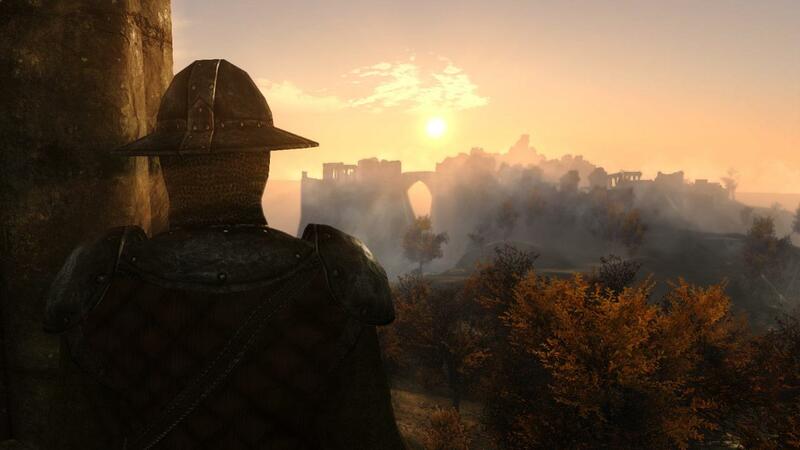 Unlike many other Early Access open-world games that made the headlines, Gloria Victis fully embraces the Medieval-like world it was given by the developers. No laser-rifles, or any rifles at all in the end-game for dedicated crafters. It also boasts about bringing the “RPG” part back to MMORPGs, which is definitely a worthy endeavor. Many things remain familiar however, not the least of which is crafting, which is more robust than normally expected, or the importance of exploration, be it out of curiosity or in search of resources. The continent on which the game takes place is largely dominated by four large nations reigning supreme over their parts of the world. There are Azebians in the South, ruling over the harsh deserts. Nimble and quick, they will not overpower the Northmen or have the reach of a Midlander, but they’ll easily outmaneuver any of them. There are Ismirs from Nordheim, inspired by the Norsemen. Towering over every other nation, the Ismirs pick brawn over agility and they make it look easy. The Midlanders are a nation resembling classic depictions of Medieval European monarchies, and accordingly, they hold the middle ground between the North and the South, beset on both sides by border struggles. It is a good day for battle! Finally there are the unfortunate Sangarians, once a sprawling nation, but recently they succumbed to a sudden strike by Azars and never recovered. Sangmar is very reminiscent of Constantinople, centered mostly around a sprawling magnificent city of Baalhammon. The current shape of Gloria Victis is a no small achievement, given Black Eye Studio’s beginnings. At the early stages of development Gloria Victis’ creators worked remotely because they couldn’t even get a dedicated location. This changed significantly after the game was finally ready to hit early access. A new place, new employees, and more power to improve the game and provide all the promised features. The initial success allowed the studio to release a patch nearly every week, constantly working on improving and expanding their game. There are many items to craft in Gloria Victis. So many, in fact that it ended up being necessary to divide them into ten categories covering everything from clothes, to armor, to even husbandry, if this is the figurative cup of tea that appeals to you the most. Which is great, because there is no handholding in the game. You either make something yourself, or work hard to have enough money to buy it. And what’s a warrior worth without a trusty sword/axe/mace at his hip and a sturdy shield? 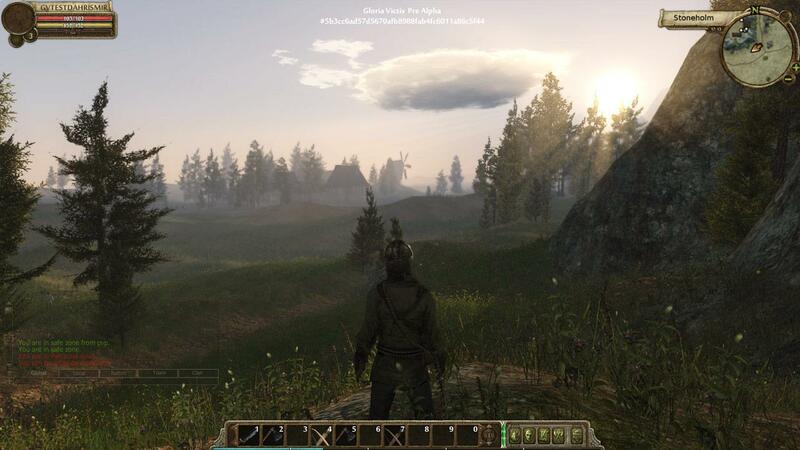 Gloria Victis developers decided to create a system based on skill, positioning and active combat. No targeting, no hammering away on ability keys. GV combat is very similar in concept to the one known from the Mount&Blade games, and it works to its benefit just as it worked to M&B’s. One of Gloria Victis’ drawing points is the freedom to do what you want. If you wish to explore, the world is detailed and regular updates ensure you’ll always find something new. Do you wish to create a unique character? The classless progression will let you build just the character you want. If you want to play socially, complex FameDisgrace systems, sieges and knight tournaments are there to give you purpose. There’s even a lot for those who love stories and questing, since Gloria Victis’ narrative was co-written by Polish bestselling author Jacek Komuda, and Maciej Jurewicz, best known for his work on The Witcher. Gloria Victis is shaping up to be a very entertaining game. The developers are dedicated to making sure most player types are accommodated for. Be it combat enthusiasts, lore keepers, craftsmen or daring explorers, everyone has something to do. Gloria Victis is currently available in an Early Access model for all who want to support the developers during the essential period of tweaking and perfecting the game, but there are plans to introduce a free-to-play model with some small restrictions when the game is ready. 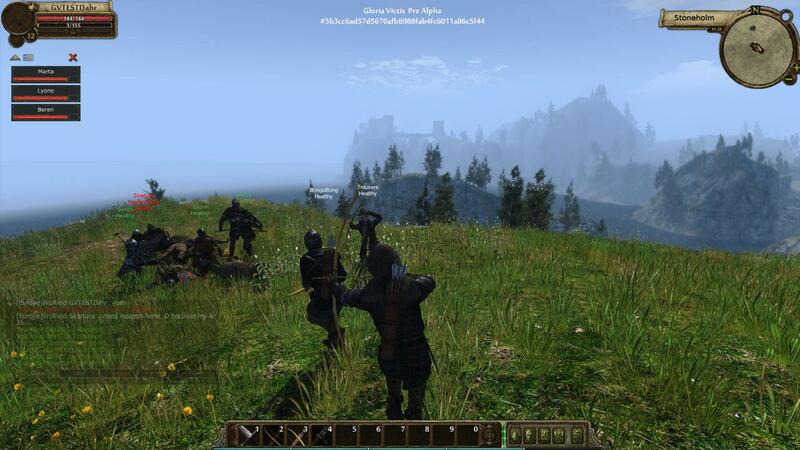 A brand new MMORPG taking inspiration from the European and Middle-Eastern Middle Ages. Craft, court, and conquer your way to fame or disgrace.